With soil sampling, we can determine whether your soil has nutrient deficiencies in Charlotte. Did you know that sometimes your lawn problems are coming from beneath the roots of your grass and plants, and not from the plants themselves? 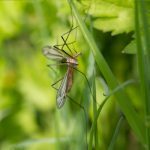 At Carolina Turf and Mosquito, LLC, we understand how difficult it can be to troubleshoot lawn problems when you are trying to create the ideal landscape. Fortunately, with our soil sampling services, you may be able to determine the true cause of the problem and take active steps to improve your lawn in Charlotte, North Carolina. With soil sampling, we can determine whether your soil has nutrient deficiencies that prevent your grass from growing well and your plants to appear less healthy. Not only can this help you determine which measures to take next, but you’ll also feel confident knowing that your lawn is on track to becoming healthier. 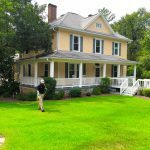 At Carolina Turf and Mosquito, LLC, we often find that soil sampling is a great start when all other methods for treating lawn problems have failed or produced mixed results. In addition to soil sampling, you’ll find that our lawn maintenance solutions include recommendations for the ideal lawn fertilizer and other weed control measures that will truly help you create the ideal lawn at your home or business. We have years of experience providing solutions for lawn problems that just won’t seem to go away, and when you work with our team, you’ll begin to see a light at the end of the tunnel. Contact us today if you need assistance with lawn problems at your home or business, and we’ll help you determine if soil sampling is a good place to start. We look forward to working with you. At Carolina Turf and Mosquito, LLC, we offer soil sampling services in Charlotte, Waxhaw, Weddington, Matthews, Pineville, Fort Mill, Rock Hill, Gastonia, Mint Hill, and Pineville, North Carolina.